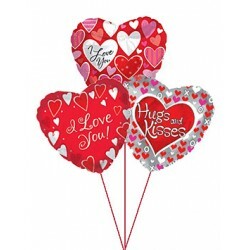 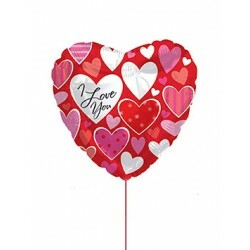 This ceramic vase is full of love featuring a fun pattern of pink and red hearts that will send a clear message of admiration. 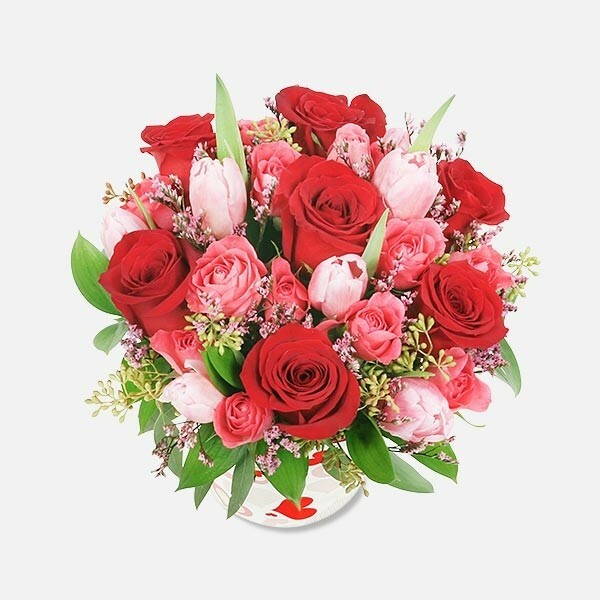 Have them seeing hearts with this bouquet of stunning red roses, lush pink tulips, petite pink spray roses, caspia and foliage. 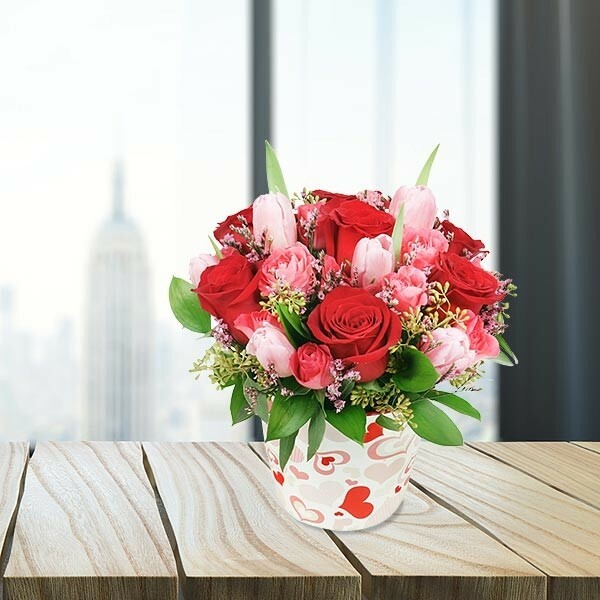 This ceramic vase is full of love featuring a fun pattern of pink and red hearts that will send a clear message of admiration. 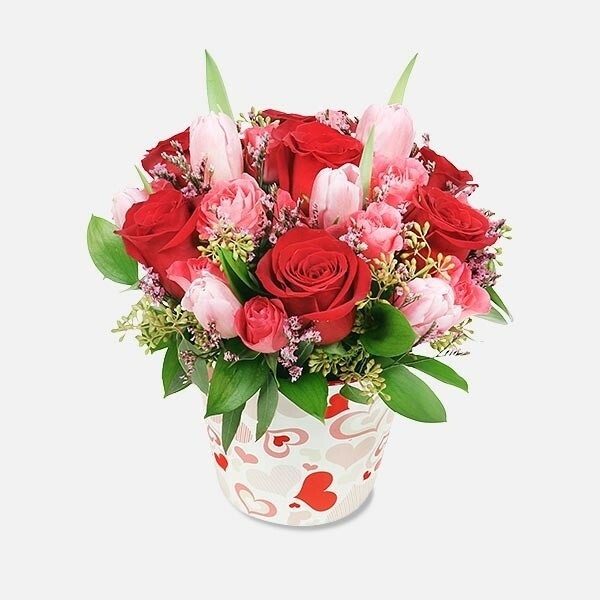 Make their day extra special with this classic and sweet arrangement. 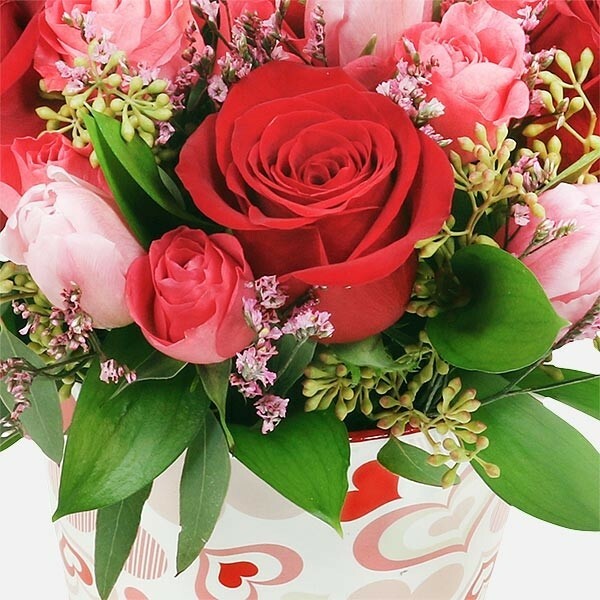 Your online Manhattan florist, delivering flowers in NYC for more than 35 years.